If you had told me yesterday at this time that I would be outside reveling in the fresh, cool breeze, bright blue, cloudless sky and warm dry sun, I would not have believed it possible. But here I am in mid-August, out studying this relatively new (last September) garden and trying to figure out what to do next. If you could have seen what this looked like before, you could scarcely believe the change. And, it was brought about so quickly that it might have qualified for one of those fake shows where they take a yard in the morning, and by the end of the day you have the rough beginnings of (to my mind) a not-so-attractive garden. Only in my case, even the day after it was "finished," I could make photographs with just a bit of pride. So, let me back up. This morning I was sitting at my desk in the den, looking out the window at the volunteer Rudbeckia triloba that must have come from the compost, or either it migrated from the opposite side of the house, where it did not re-seed. At first I was irritated at this intrusion because it was blocking the sun from a struggling climbing rose. However, since I am having to rethink the whole climbing rose situation (the summer sun did not go where I thought it would), I resisted pulling up the two large plants. It used to be that, from this same window, I looked out at the gray trunk of an enormous white oak tree. It was well over 100 years old. I won't go into the particulars, but it finally had to be taken down. I had the stump ground and let the sawdust sit there for a couple of years. I spent a good bit of time staring at the area, trying to figure out what to do. There was no shape to the earth there; it sloped a bit down to a crude path I'd made leading to the back of the house. When I walked into Perry Walker's wonderful nursery in Jonesboro (Walker Nursery Farms) last spring and saw a black iron arch, I knew immediately what I wanted to do. Perry had only one in stock, but he ordered two more for me. An amazingly talented person who works for a high-end garden designer brought cobblestones from the farm (part of the 4,000 I used to have in my front parking area here) to build retaining walls. He then installed the three arches and set them in concrete. I had bought 14 Korean boxwoods for the church, but we didn't use them, and I couldn't return them, so I already had material for a small hedge. I did plant climbing roses, which the deer promptly ate. My neighbor gave me some Confederate jasmine, so I tried those, since it was too shady for the roses. The jasmine got fried in the cold this past winter (I need to get 'Madison' jasmine, which is hardier), but one has made a comeback. Then, my friend Benjie gave me a bench he didn't want. It is the focal point of the garden. Actually, that section was done after the part in the foreground. A "before" picture would reveal a bunch of bricks laid in a haphazard fashion and an awful gnome sitting atop a concrete bowl. I had also had my bird feeders there for years; the same weeds kept coming up for years, and I did little about it. One good thing is that this rectangle was already surrounded on the outer edges by an English boxwood hedge. Now, as you can see, I can walk on tiny pea gravel (with sharp edges, so that it doesn't roll out from under you) from one end to the other. Erica Glasener gave me some Louisiana irises, so I divided them and put them on either side of the first arch within the hedges (the amazing builder of the garden brought me some more Korean boxwoods for a second hedge). I have two ivy topiaries at the entrance. The tall green clipped bushes you see are a type of Japanese holly. The "tree" at the left of the second arch is an orange-blooming osmanthus, which sends out a delicious fragrance in September (Erica gave me this, too, years ago). After it blooms this year, I'm going to shape it up so that it extends over the third arch, but won't come to a point as it does now. I'll use the clippings in arrangements at church. What you can't see down at the end next to the bench is a piece of Japanese holly that sprang up and which I am training to become an eventual arch to extend over the bench. Also, down there in a corner, is a tuteur with a 'Graham Stuart Thomas' English rose. It does get enough sun, and by next year, it should look good. Sad to say, I kept it in a pot with scant dirt for over a year, trying to decide where to put it. It's growing like mad now, though, and I wouldn't be surprised if it blooms this October. There's one odd thing going on here. The walkway leading to the side door is slanted. There was nothing to be done about that, but it does throw the space in the middle off-kilter. All in all, though, I'm pleased with how the garden is coming along, and this afternoon, there is something wonderful to be seen from my desk - that special "light in August" (thank you, William Faulkner) shining on the Boston ivy on the wall of the house and on the just-trimmed Japanese holly. It is all quite magical. Towards the end of July every year, the above flowers bloomed in the border alongside my parents' house at the farm. The show of bright yellow continued at least through mid-August. The cheery yellow double blooms sat atop five-foot tall stems, thus affording a view from the kitchen table of the many butterflies that would alight almost constantly. Mother would pick the flowers, sometimes mixing them with colorful zinnias, which also grew along the wall of the house. In all the years I had the chance to ask, I never found out where this perennial came from. Many people swapped flowers with Mother, so it could have come from a number of sources. Also, Mother never put a name to it. I don't think we ever talked about what the flower was. I had never seen it anywhere else. 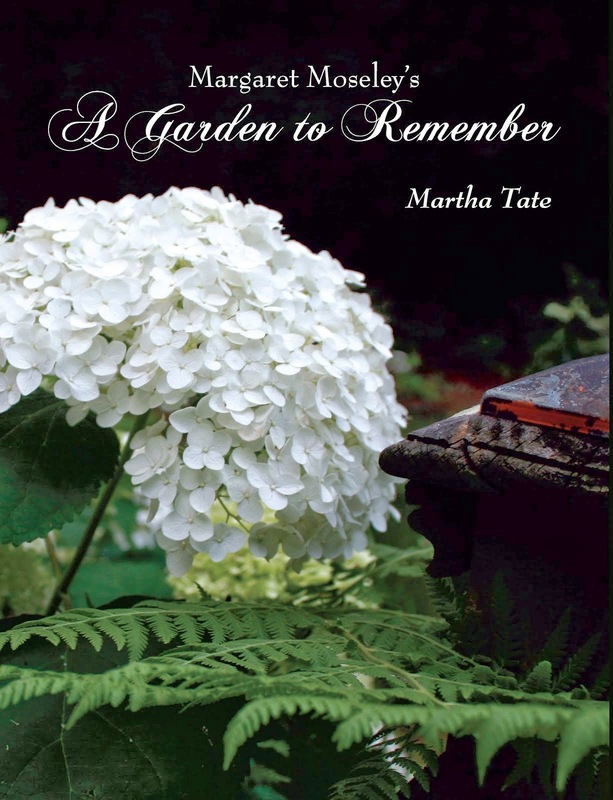 When I started writing a weekly column for the Atlanta Journal-Constitution in 1989, I was constantly out visiting gardens but I never came across this particular flower. In early August 1994, when we were shooting the first 13 episodes of A Gardener's Diary (this was months before HGTV would come on the air on December 31, 1994), we taped two shows in Tennessee. One was at the farm of Susan Felts, who sold cut flowers to florists and who also dried flowers to sell. I didn't go on that shoot, but I watched it being edited. As I sat in the dark editing room (we used to go at night in order to save money), I watched as A Gardener's Diary host Erica Glasener was walking next to Susan's huge flower borders. The two were discussing what was in the border, when Erica stopped and posed a question to Susan: "Tell me about the heliopsis over there." Bingo. The camera pulled in close, and there it was - Mama's yellow flower. Susan explained that an elderly lady who had a lot of old-fashioned passalong plants had given it to her. I thought at the time that Mother had probably gotten a start of the flower from such a person. For whatever reason, I don't think I ever told Mother I had found out the name of the flower. Sad to say, I mostly cared about what was happening down there at the time it was blooming. My parents were huge vegetable gardeners, so the last of July and all through August, they were immersed in picking black-eyed peas, butter beans (the big brown kind), lima beans, the second crop of Silver Queen corn (which always had worms, although the first one in late June did not), snap beans, okra, tomatoes, squash, watermelons and cantaloupes. Mother spent the days gathering vegetables and then either freezing them or canning them. It was a ton of work. So, now when I see those flowers in bloom (I took the above photograph last Sunday when it was very, very dry and had been for a few weeks), I think back to all those dishes on the table - the fried okra with not a smidgen of green showing, yellow squash casserole, butter beans and black-eyed peas, along with a jar of chow-chow from the previous year, a plate of bright red sliced tomatoes, a round cake of crusty cornbread and of course, sweet iced tea with lemon. Mama always had dessert, but there would be a bowl of sliced cantaloupe, and then Daddy might bring out some cold watermelon to finish up. Thank goodness, at the time I never thought that all of this would come to an end. Vegetables are still being grown at the farm, but of course, it's not the same. My friend Linda, who has a fabulous and very picturesque vegetable garden on the eastern shore of Maryland, makes chow-chow every year from Mama's recipe. That helps tremendously when I buy frozen butterpeas or lima beans at the store. And having Mama's flowers come back year after year, stronger than ever, helps keep all the memories of those wonderful years alive. About the flower: To tell the truth, I had to get out a DVD of Episode 102 of A Gardener's Diary to remember that this was a heliopsis. For some reason, I had remembered it as being a strange form of rudbeckia (what was I thinking?). I'm not sure of the species (Heliopsis helianthoides, most likely), but it is native to the eastern United States and Canada. What I'm wondering is, given the fact that it does not need to be staked and is obviously very hardy, and the deer have never taken a bite of either the foliage of the flowers, why this perennial isn't used much more often.